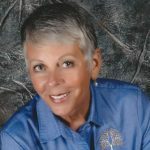 I have written several articles about the lack of research funding and the stigma associated with lung cancer. I hope the example I give in this article clearly illustrates my point. The Congressionally Directed Medical Research Program (CDMRP) is a government program that funds research for various diseases, including Parkinson’s, autism, and epilepsy. The program also funds several types of cancer research, including lung, breast, prostate, ovarian, and kidney. 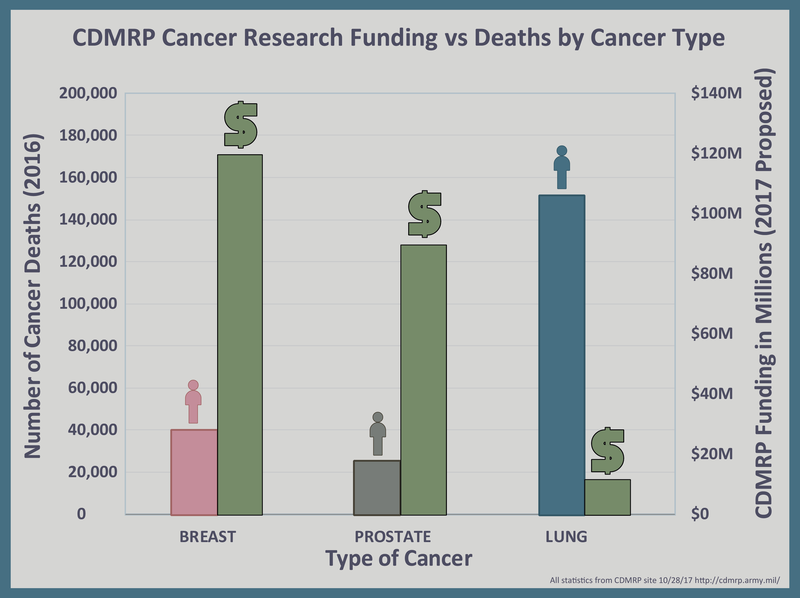 However, to put this in perspective, this year the CDMRP awarded $120 million for breast cancer research.2 It doesn’t take a mathematician to understand that this year breast cancer research receives 10 times as much funding as lung cancer research. Fact: Lung cancer kills nearly twice as many women as breast cancer. I recently learned an easy way to comprehend the difference between a million and a billion. A million seconds is 12 days. A billion seconds is 31 years. Fact: Lung cancer kills nearly three times as many men as prostate cancer. There is something wrong here. I am grateful millions of dollars are funding lung cancer research. However, I believe we can do a lot better. No one wants to reduce funding of any cancer research. But for the love of God, can we correct this travesty and fund lung cancer research fairly? We can all agree there is more than one national health emergency. We are simply stating that it is time to include lung cancer as a national emergency. Lung cancer research funding deserves its fair share of the cancer research pie. Simply increasing the size of the overall pie magnifies the disparity even more. Lung cancer needs a significant increase in funding now.